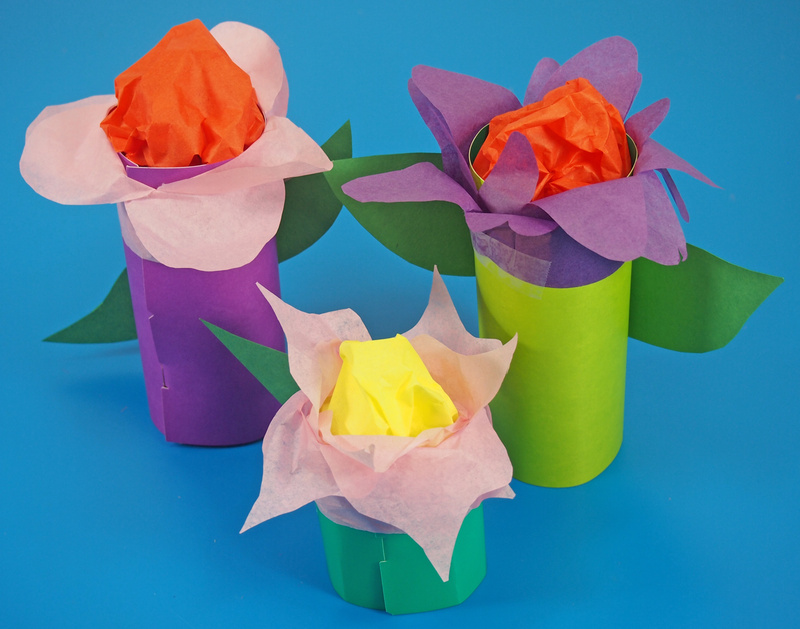 Using simple materials such as tube rolls and tissue paper, you can make the most intriguing flower decorations for your summer display! Try it with our R39301 Tube Crafts! 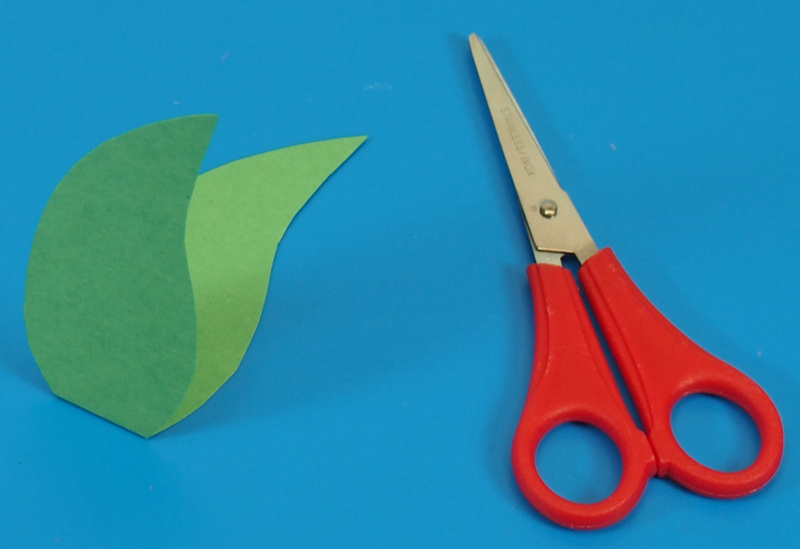 Learning Objectives: Use scissor skills to create beautiful flower decorations. Develop fine motor skills through rolling and securing the tubes. Create a lovely decorative addition to your spring/summer art display. Choose one of the flat Tube Crafts. The tubes have colors on both sides so you can roll it according to the side you want. 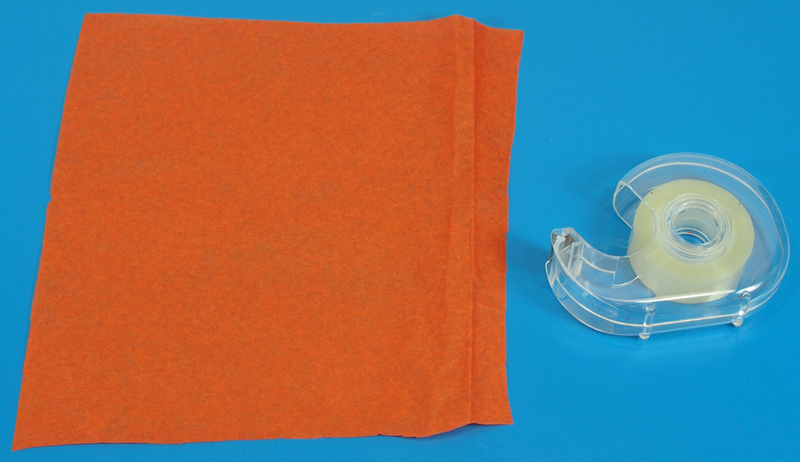 Gently roll the card into a tube shape and secure with the specially designed notches and tabs. This tube will form the base of the flower. 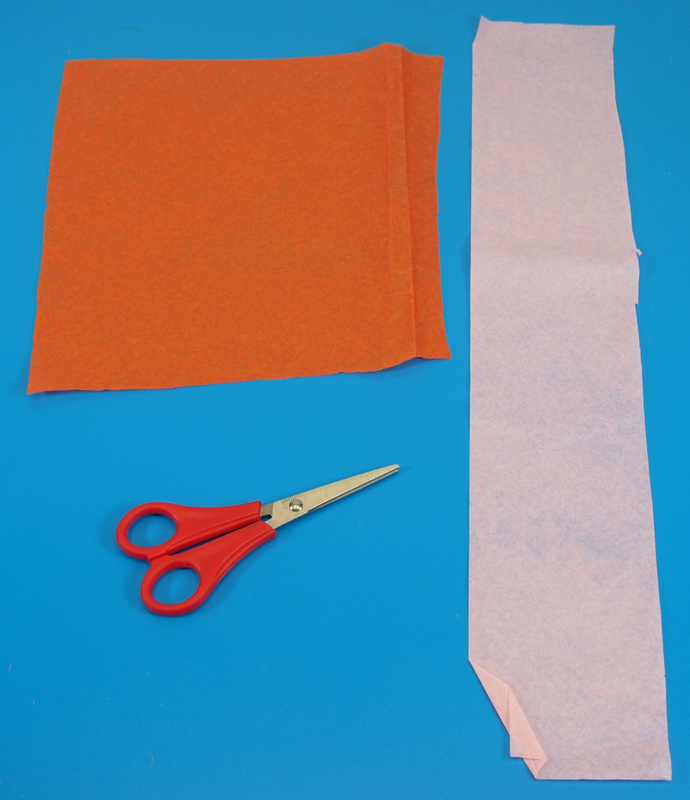 Next, cut a long strip of tissue paper from your sheet. 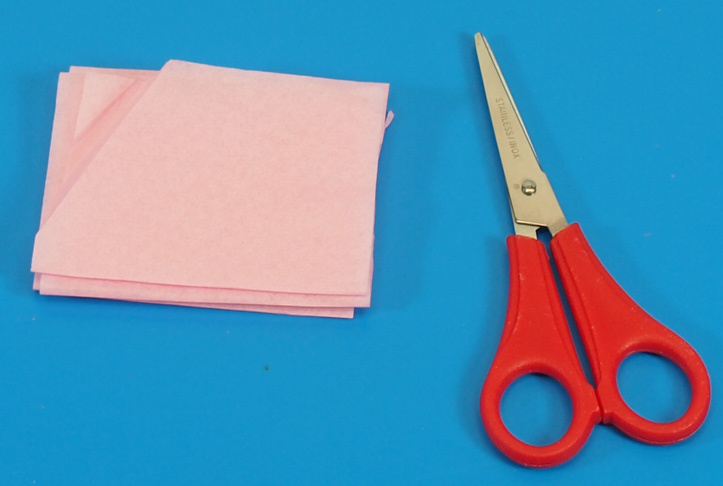 If you have smaller lengths of tissue, you can simply tape them together. The strip should be about 3 x 16″ wide. Accordion fold the strip of paper until it is all neatly tucked into a square. 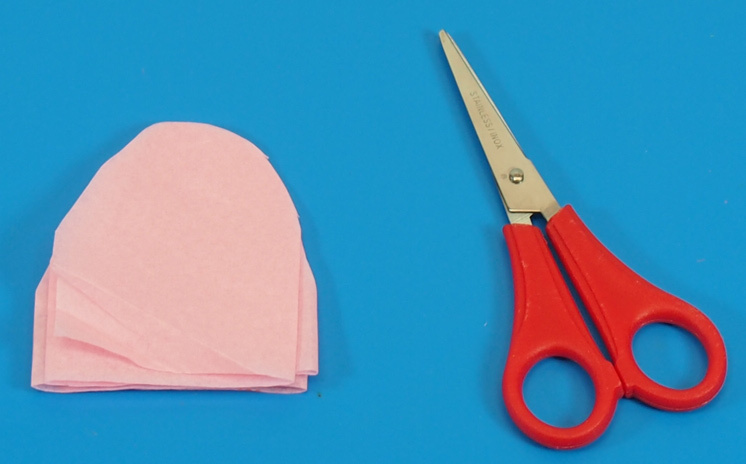 Cut the unfolded edge into a half circle shape, making sure to keep the side folds intact. Unfold the chain to reveal a petal-like design. 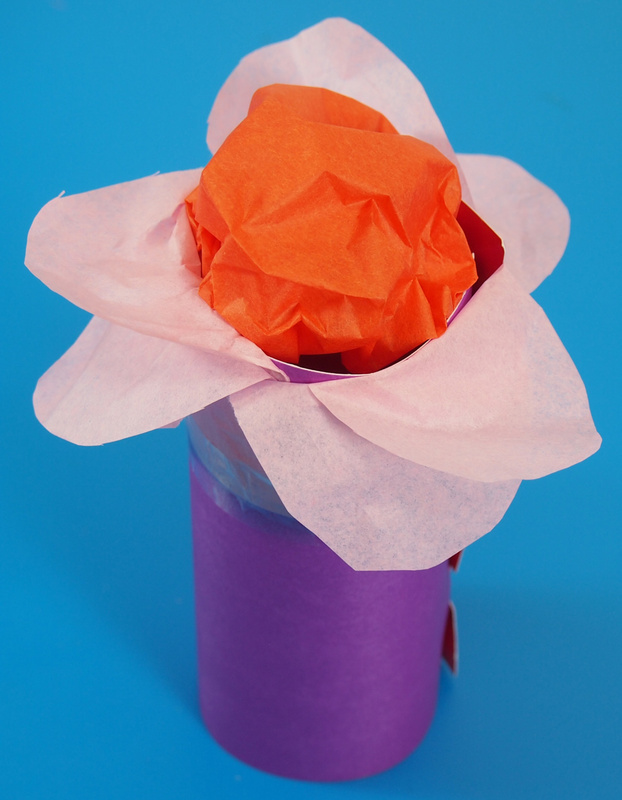 Gather up the tissue paper that you will use to form the center of the flower. Scrunch all four corners together in the center and secure with a piece of tape. Tape one edge of the petal chain onto the top of your Tube Craft and roll it all the way around the tube edge. 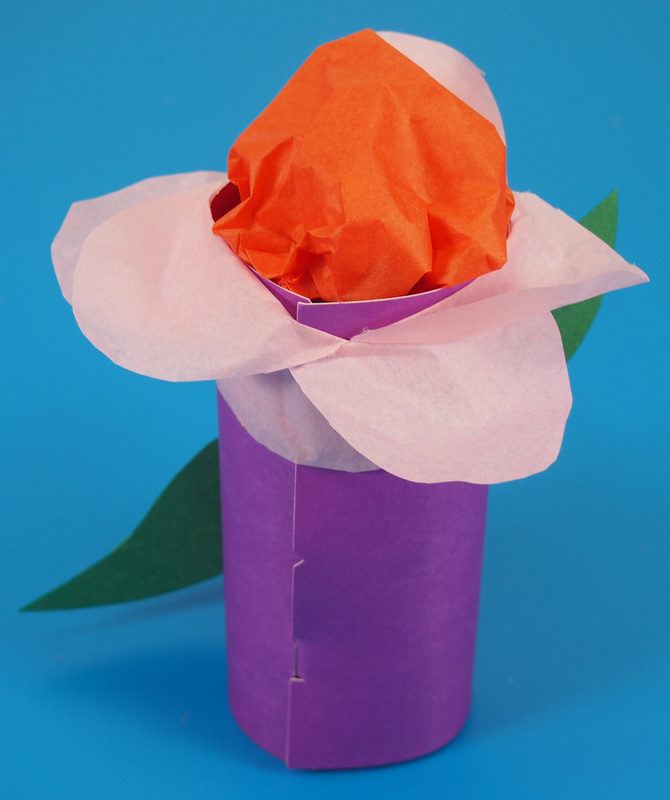 Once the tube is completely rolled with the tissue paper, fold the petals outward. 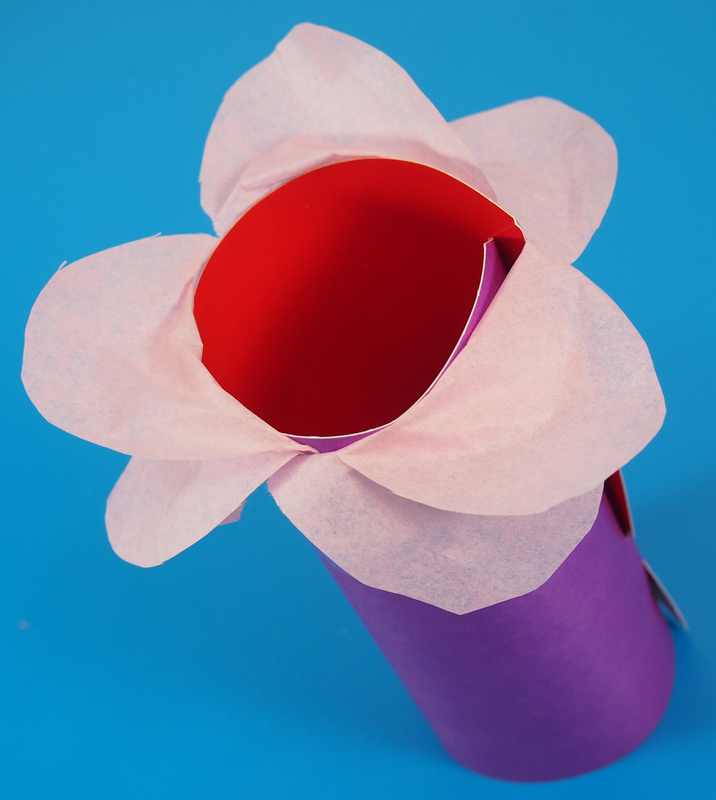 Stuff the center of the flower inside the tube and secure with tape. 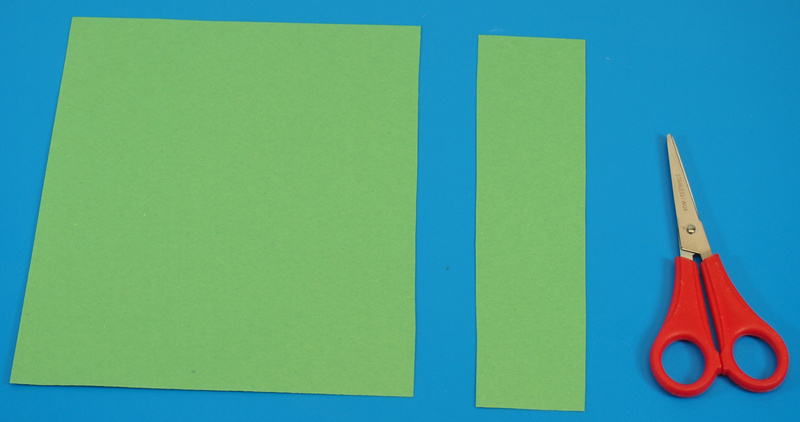 Cut a strip of paper from the construction paper sheet. 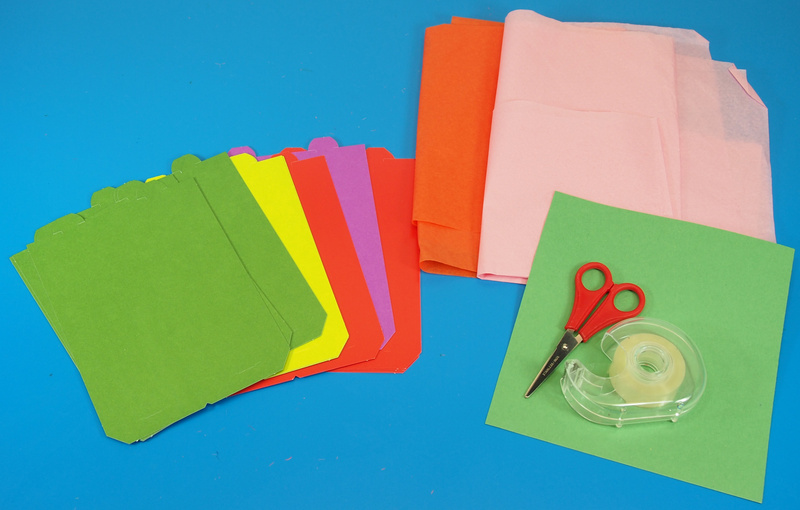 Fold the strip of construction paper in half and cut from the fold line to make a leaf shape. 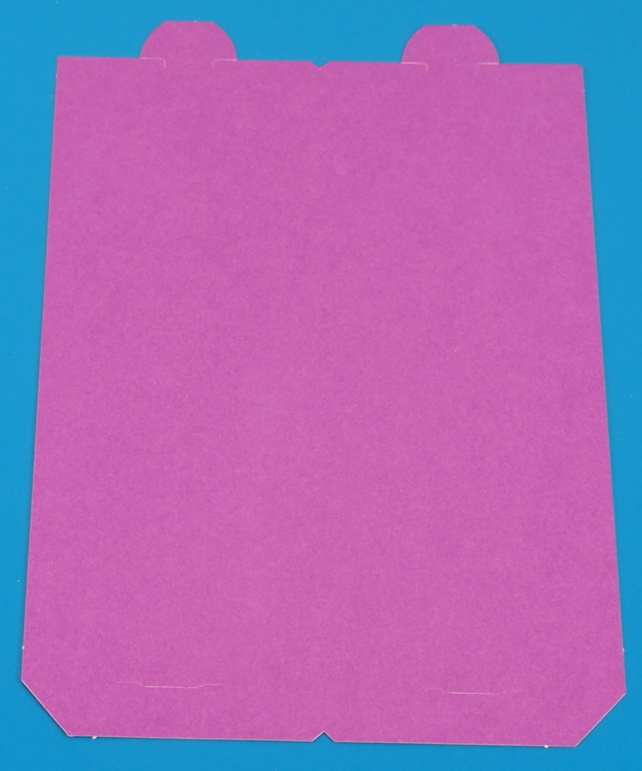 Unfold the sheet of construction paper. 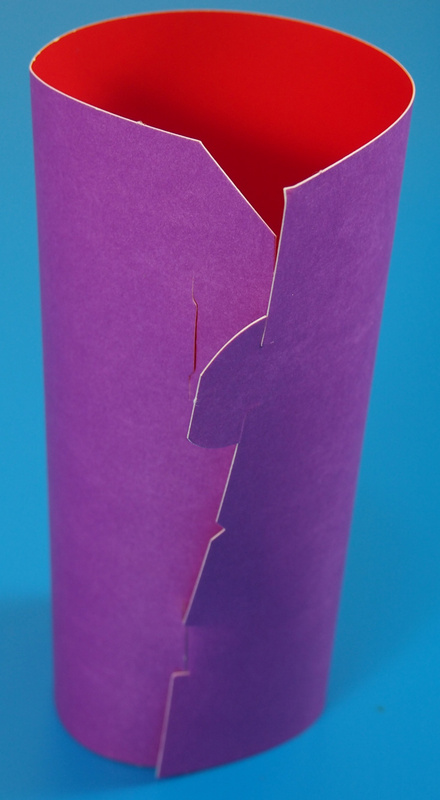 Tape the leaf shape to the back of the tube to finalize the flower. With these techniques, you can make a full garden of flowers! This entry was posted in Art and tagged cardboard tubes, crafts, paper flowers, r39301, toilet paper rolls, tube crafts, tube crafts flowers, tubes by roylcoblog. Bookmark the permalink. These are so beautiful. Will link you over #pintorials Thanks.